What is Chemical Peels Treatment? The skin faces different problems from time to time. Our skin is important for us and we do not want to have any skin condition. We just want to have flawless, smooth, and glowing skin. No matter what your skin color is, you just want to have flawless skin. Chemical Peels Treatment is a famous method for skin rejuvenation and resurfacing. A chemical peel / Glycolic Peel is a skin rejuvenation method. It has been around for quite some time. People from all parts of the world take it to address a variety of skin issues. Due to its good reputation, a large number of people are taking chemical peels in Dubai and Abu Dhabi. To enhance the skin tone. To remove the dead skin cells. To do an overall skin resurfacing. To remove different skin lines and marks. Reduce sun exposure two weeks before the treatment. Do not exfoliate the skin ten days prior to the treatment. While going out, it is good to wear a broad spectrum sunscreen. Discontinue using skin lightening products a week before the treatment. Avoid treatment site threading, waxing, and tweezing before the treatment. If you need to go out, avoid going out at peak sunlight hours: 10 am – 12 pm. If you need to go out, take an umbrella or brimmed hat to avoid direct sun exposure. Step 1: Cleansing – The treatment starts with the cleansing of the skin. Any germs and dirt are removed this way. Step 2: Anesthesia – Anesthesia or numbing cream is not required in this regard. It helps avoid the pain and discomfort. Step 3: Chemical Application – A liquid solution will be applied to the skin to open the clogged pores and remove the impurities such as dead skin cells, excess oils, dirt, and bacteria. Step 4: Resurfacing and Peeling – The liquid solution will penetrate the skin and resurface it and peel off the topmost skin layer. It also makes blisters and removes the topmost layer of the skin. Step 5: Cold Compresses – In the end, the cold compresses are applied to the treatment area to minimize the stinging and burning sensation. The minor side effects subsite in a few days. The skin must be kept moisturized all the time after the treatment. The person needs to keep applying the prescribed topical ointments regularly. The use of strong sunscreen will protect the skin from the harmful rays of the sun. You will have to avoid the sun for several months after the treatment because your skin will become sensitive. The patient may be required to have bandages for a few days on some or on all of the area treated (rare case). There are plenty of benefits of chemical peels because it always delivers good results. If performed properly by an expert, chemical peels in Dubai can bring tremendous changes to the skin. This technique makes you attractive. This technique is minimally invasive. This technique even outs the skin tone. 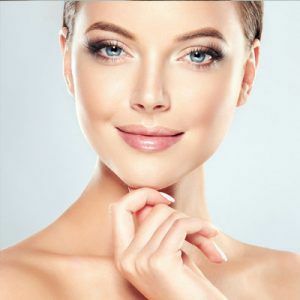 This technique improves the overall skin look. This technique removes fine lines, dead skin, scars, etc. The women that are pregnant or pregnant. The people that have used Retin-A or Renova. The people that have taken Accutane in the last six months. The people that have psoriasis, eczema, dermatitis, or rosacea. As mentioned above, different skin-friendly acids are used in this procedure. Typically, Glycolic, Mandelic, and Salicylic Acids are used to perform chemical peeling. Though the procedure is safe for all, the cost often varies from person to person. The professionals consider different factors to calculate the treatment price. 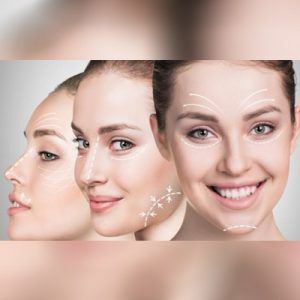 The cost of chemical peeling depends on the skin problem, type of peeling, the expertise of the professional, the type of solution to be used, and the location of the clinic. The Laser Skin Care Clinic offers it at a reasonable cost; plus, there is an exciting discount offer for a limited time. 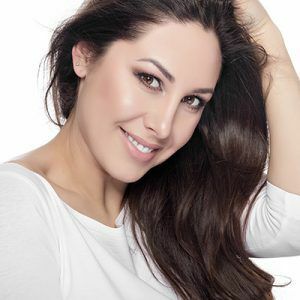 The laser skin resurfacing is another option if you want promising results in a short time. The Laser Skin Care Clinic has aboard some of the finest dermatologists in Dubai. You can also have chemical peels in Abu Dhabi and Sharjah. You are always welcome to contact us if you need more information. For a better understanding of the treatment. If you have to ask questions from an expert, take just one minute to call us or fill the short online form to get a free online consultation. I got chemical peels for freckles six months ago and I am extremely happy with the results of the procedure. No pain, no burning, no side effects. My friends seriously doubt that I have really undergone chemical peel, because their experiences were quite terrible. I would take this chance to thank Katrina Valente and her staff for being so cooperative all through. I highly recommend Laser Skin Care and Katrina Valente for all skincare treatments. I am just 35 years old. My skin began to sag a couple of years ago, which was really distressing for me. What frustrated me the most was everybody telling me that this sagginess is irreversible. But when I met Katrina Valente, her response was very encouraging. She told me that a few sessions of chemical peels will be enough to address minor sagginess. And I really got back my taut, youthful skin after just 5 chemical peels sessions. Thank you, Katrina Valente, you are great! I am getting chemical peels for unsightly age spots on my cheeks. Just two sessions and the dark spots have started to fade. I am very happy with the results so far. Thanks Katrina Valente, you are great. I would love to come back to Laser Skin Care for other cosmetic procedures as well, especially laser hair removal. You Don't want to Miss Our Offer on Chemical Peels / Glycolic Peel . Fill in The Form To Avail Our Special Offer For You!